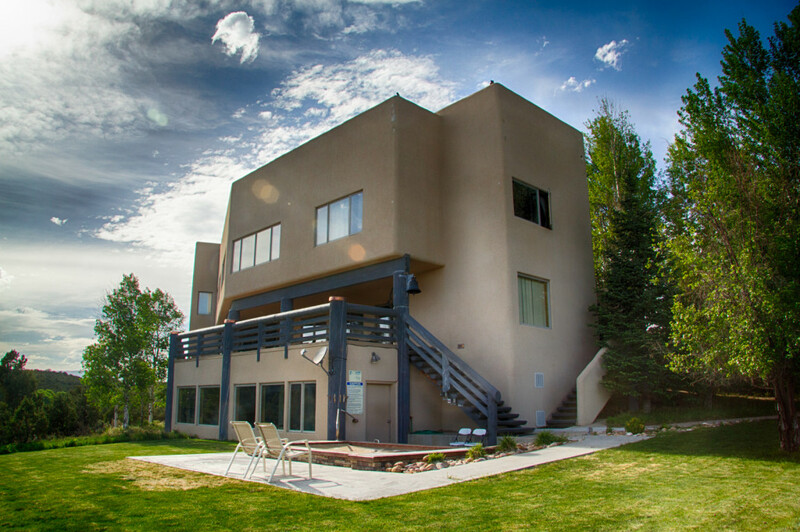 The Fly Fishing and Pheasant Hunting Lodge for your next great adventure. Our beautiful and diverse 600 acre private canyon provides a perfect sanctuary for dozens of bird species. Falcon’s Ledge offers guided fly fishing on a variety of Utah’s trophy rivers, lakes and streams, beautiful lodge accommodations and spectacular nearby pheasant hunting. Located in a private and secluded 600-acre canyon at the doorstep of Utah’s highest peaks, the Uinta Mountains, This Utah fly fishing lodge is truly one of the great western fly fishing lodges. Recently awarded the Orvis 2012 Fly Fishing Lodge of the Year Award, Falcon’s Ledge is the ideal location for your next fly fishing trip or company retreat. Guests will sight-cast to trophy browns and rainbows on clear, trophy tail-waters and high mountain freestone streams for native cutthroats, rainbows, and brookies. Many guests also enjoy casting to hard-fighting fish on any of the eight stillwaters surrounding the lodge, and floating a day on the world-famous Green River located within driving distance of the lodge. It is not rare to fish five to six different rivers and streams all on the same trip. Our professional, friendly, and award-winning fly fishing guides are passionate about making sure you have a fly fishing adventure you will always remember. The exciting fishing is only part of your adventure; you will stay in one of eight private guest rooms in the modern lodge and soak in our large outdoor spa in the evening. Share the comfortable elegance of the lodge and our country gourmet dining with a non-fishing spouse at no additional cost. We were honored as the 2001 & 2012 Orvis Fly-Fishing Lodge of the Year. 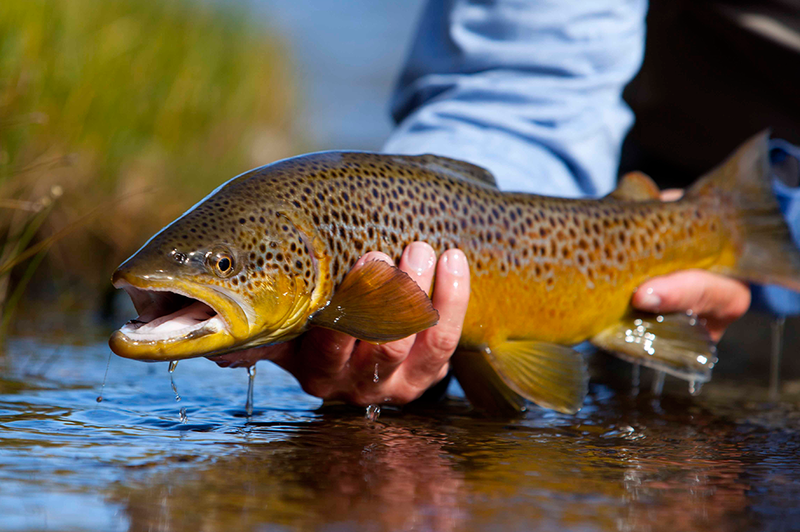 If you haven’t stayed with us yet, come find out what fly fishing in Utah is all about. Falcon’s Ledge is open year-round. fly-fishing and bird watching is ideal from April through November, with the peak river season being June thru October. From September thru November we do Cast & Blast packages at our Orvis-Endorsed Hunting Grounds, the largest hunting grounds in all of Utah. Pheasant Hunting continues all fall and winter. Falcon’s Ledge is the fly fishing lodge and pheasant hunting lodge for your next great adventure. Awarded the Orvis 2012 and 2001 Fly Fishing Lodge of the Year Award and named one of the world’s premier fly fishing lodges. Falcon’s Ledge is the perfect location for your next fly fishing vacation, pheasant hunt or executive retreat. Read the Falcon’s Ledge Blog to learn more about fly fishing and keep up with the guides adventures… they never stop fishing. "My fly fishing husband made me come. I am certainly glad he did. Scott, the food was 5 star, Nikki, breakfasts were grand, Darlene ever so welcoming and Rosa kept all neat and clean as could be. Beautiful facility and just right for a wife who needed to relax." "In the SLC area on business and decided to see what kind of fishing opportunities were available in the Wasatch and Uintas. Chose Falcon's Ledge based on recommendation from a friend and the 'Orvis-endorsed' seal of approval that has been successful for me. Spent seven hours on a one mile stretch of the Duchesne with Tim Johnson and plucked 16 Browns and one nice rainbow out of some really pretty waters surrounded by ebbing but gorgeous fall foliage. Fly fishing is not new to me -- have been doing it in some form or another since I was a kid (I'm now 61). Tim was not only great company but perceptive enough to know I didn't need and wasn't looking for constant instruction. It was a terrific day and money well spent. Would do it again in a heartbeat..."
Fantastic four days fishing and hunting here in Altamont! The Strawberry was both scenic and a fantastic challenge. The bird hunting was a blast literally and figuratively! See you again soon! "We thoroughly enjoyed our stay at this lodge. The fishing was great, and so was the hunting. Our guides were professional and thorough. They treated us with dignity and respect. The cooks and other staff were very punctual and professional at their duties as well. We look forward to returning someday to enjoy that level of hospitality." The guides are the best in the business. The scenery and fishing is spectacular. Lodging, meals, guides, staff--everything about this lodge was first rate. We spent three days fishing and hated to leave. Our guide, John Rock, was one of the best guides I have encountered. He was knowledgeable, patient, and excellent company. The scenery is outstanding. I would definitely recommend Falcon's Ledge.